Are you ready to give your business the boost that it needs? I’ve curated a whole array of free downloads for you—from photography-related guides to personal self=help and everything in between—and will be releasing new downloads each and every month for you. In case you’ve missed passed downloads, I wanted you to be able to find them all here. Be sure to check back often each and every month as new guides get released. Yesss — I can’t wait for you to dive in. Grab your copy of your downloadable freebie here. Wooo - here’s this month’s download for you! Woooo - I’m so pumped for you! Grab your planning worksheet here. 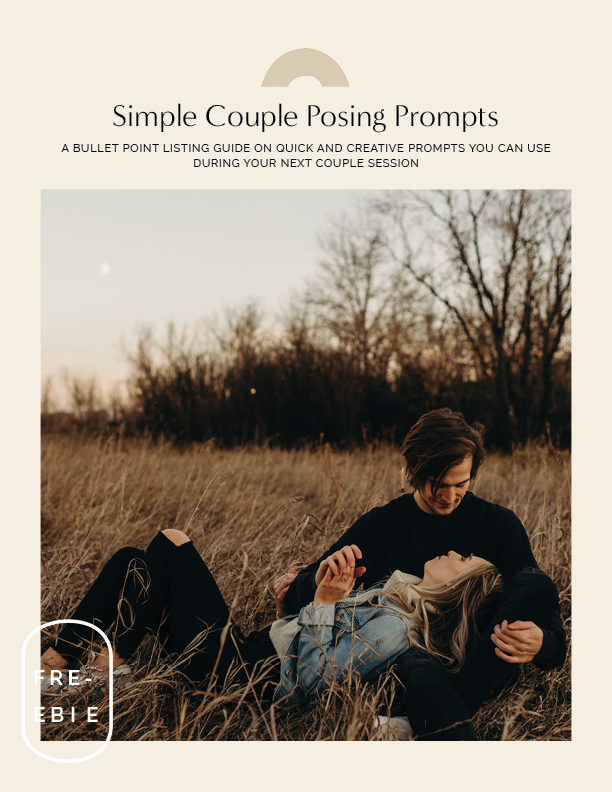 You got it - here is your bullet point list of quick + creative couple’s posing prompts! Is there a topic or idea that you think would make a great Freebie? I’d love to hear what you’re thinking. Shoot me over your thoughts and ideas for a chance to see them pop up in an upcoming download.